Maddy Smith is a NYC-based stand up comedian and writer. She regularly appears as both an MC and comic throughout the city and its surrounding region. Maddy has performed at the Rochester Fringe Festival and Hoboken Comedy Festival, was a finalist in both the Finger Lakes Comedy Festival (Ithaca) and the Stand Up NY Festival (Manhattan), and a semi-finalist in the New York Comedy Club competition. 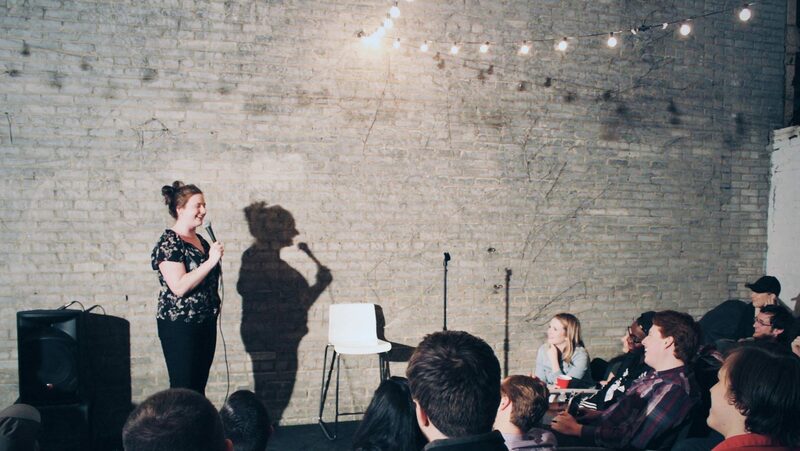 In 2017 Maddy took up roasting — she won first place in the “You Look Like” roast battle competition at the Memphis Comedy Festival is now ranked #3 at The Stand Comedy Club (NYC) weekly RoastMasters show after taking second place in the 2018 winter tournament. Maddy’s writing has appeared in McSweeney’s and of course in her own wildly successful YouTube-based webseries NYC Pads.